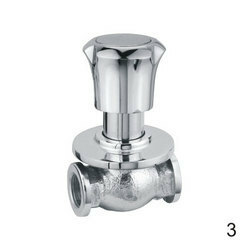 Leading Manufacturer of concealed stop valve and wall mounted concealed stop valve from Jamnagar. 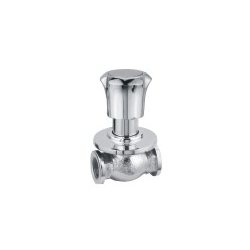 We are engaged in providing our clients with Concealed Stop Valve that are widely acknowledged for their longer life, dimensional accuracy and sturdy construction. Our products are widely used in homes, offices, corporate houses and hotels. These products can also be customized as per the specifications detailed by the customers to meet their exact needs. With the help of our advanced manufacturing unit, we are able to offer our clients with Concealed Stop Valve. All these products are available in various shapes, designs, finishes mad sizes at market leading prices to meet customers requirements. Moreover, our expert quality controllers check every product on various parameters to assure flawlessness. 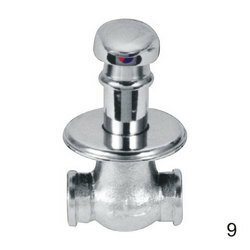 We are engaged in providing our clients with Concealed Stop Valve that are widely acknowledged for their longer life, dimensional accuracy and sturdy construction. Our products are widely used in homes, offices, corporate houses and hotels. These products can also be customized as per the specifications detailed by the customers to meet their exact requirements. 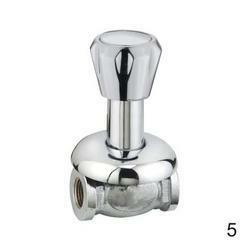 Having extensive industry experience, we are capable of providing our customers with Concealed Stop Valve. These are available in several designs, shapes, finishes and sizes at industry leading prices to meet the specific requirements of our customers. Apart from this, we provide customization to our clients as per the specifications detailed by them. 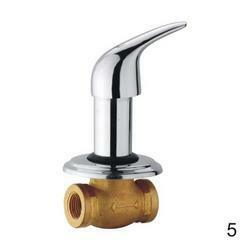 We are instrumental in offering our customers with Wall Mounted Concealed Stop Valve that are widely used in homes, offices, corporate houses, hotels and malls. These products are thoroughly checked by our team of quality controllers to ensure zero defect. Apart from this, we pack all our products using premium packaging material to ensure 100% security during transit. 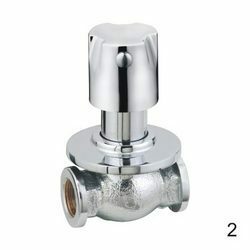 Looking for Concealed Stop Valve ?